I am loving the romper I picked up at Loft this week. Oh the sales that store has been having lately, which I am able to combine with my teacher discount. This is the cutest take on the LBD and I am just itching to wear it this weekend. 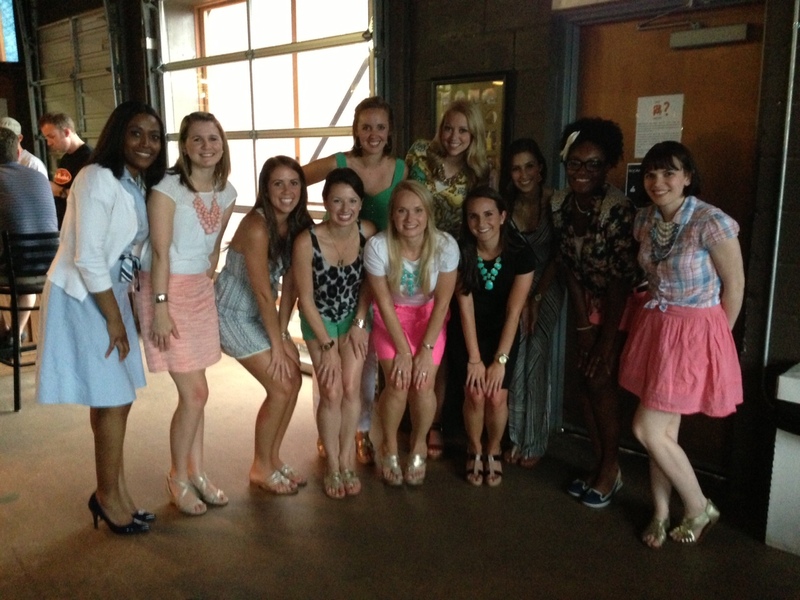 I had so much fun last night at the June meet-up for The Charlotte Social. It was so much fun meeting these women, many of who I already feel like I know so well and we had a great time sipping on some locally brewed beers at NoDa Brewing Company and Birdsong, where I tried the infamous jalapeno pale ale. We grabbed dinner from the Tin Kitchen food truck, which was fantastic. I am loving that my mother and father in law are visiting us this weekend on the way back to their Florida house. I have really missed having them around. I am such a lucky lady to have two wonderful sets of parents. 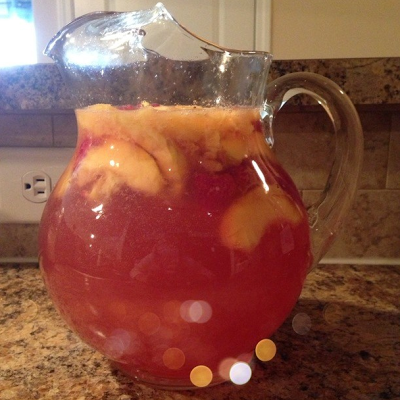 I made this raspberry peach sangria yesterday afternoon and its been chilling in the fridge awaiting their arrival. I painted my nails Essie's knockout pout and I am just loving this perfect for summer hue. I've had the bottle for at least a year so I have no idea what collection its from but I am just loving the fun color. I am loving that Corey and I have started discussing plans for our first wedding anniversary. Where has the time gone?! 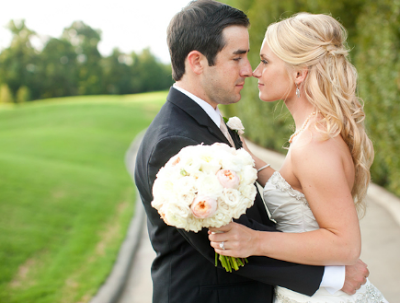 I guess I should order our wedding album, hmm? And maybe finish posting photos. I've been such a slacker with this! 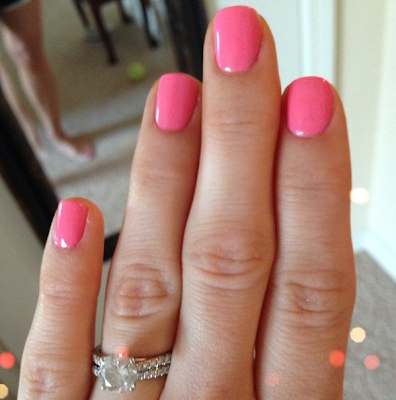 I need that nail polish color in my life, stat! It was wonderful finally meeting you last night ... hope you are already loving the Queen City! I loved meeting you last night, I'm so glad you came out! We'll have to get together again soon and please let me know if you ever need anything, I know how overwhelming it can be when you move to a new city! It was so nice to meet you last night and I'm glad you're back in Charlotte! Let me know if you ever need anything at all or if you want to get together! It was so nice meeting you at the meet-up! Again, welcome to Charlotte! I hope to see you at the July meet-up! P.S. I LOVE that nail color.